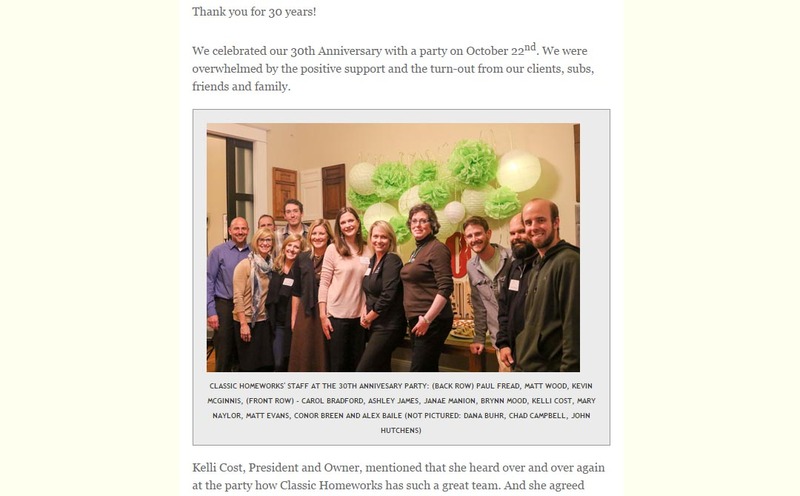 Check out our monthly eNewsletter that includes a recap of our 30th anniversary party, before and after pictures of an award-winning 1896 Alamo Placita Victorian remodel and more! 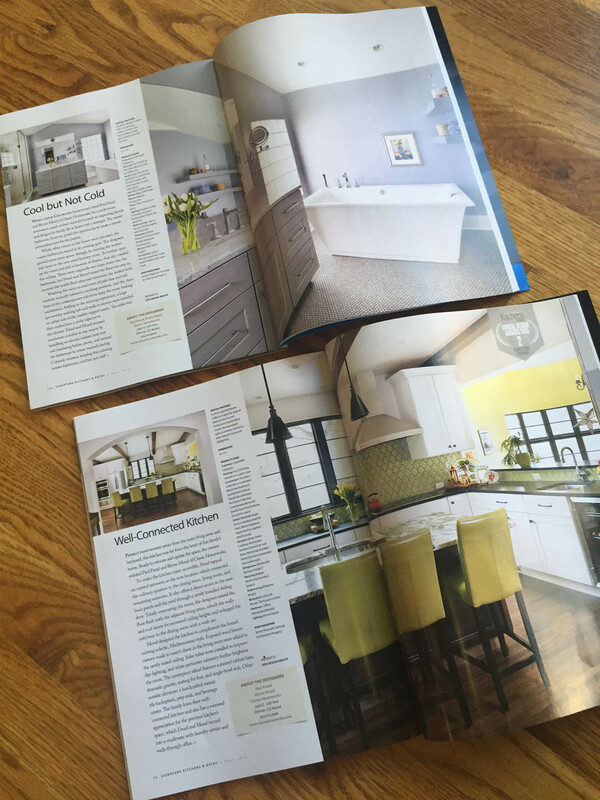 Take a look at our two-page spread in Cherry Creek Lifestyle Magazine! This Mediterranean kitchen and bathroom renovated by Classic Homeworks was featured in the Fall 2015 issue of Signature Kitchens and Baths. We are putting the character back into this 1907 classic Bungalow in Congress Park! This is a whole house remodel but here is a sneak peek at the kitchen and powder room! Your R.S.V.P. is appreciated but not required. 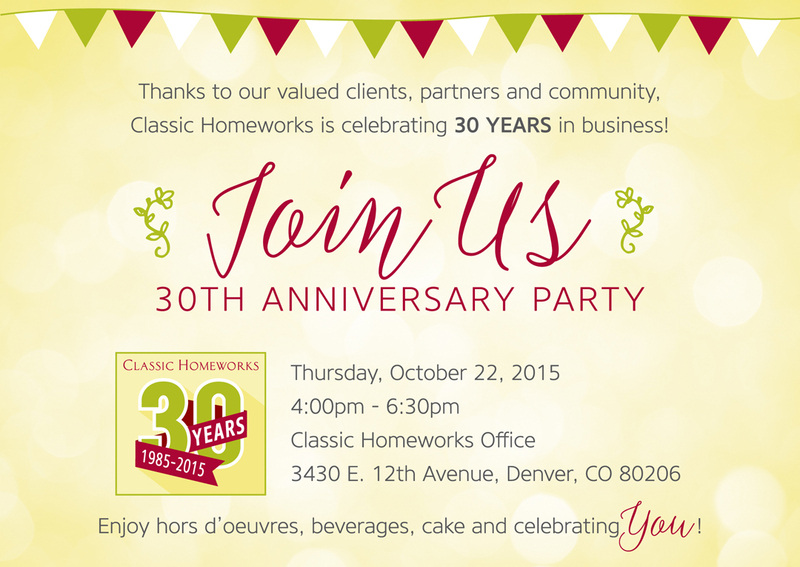 Please call (303) 722-3000 or email info@classichomeworks.com. 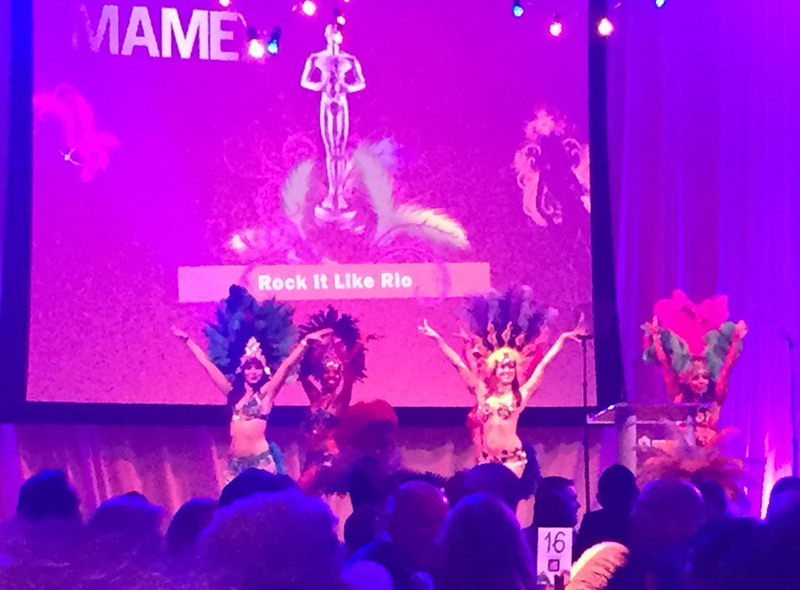 2015 MAME Awards – Rock it Like Rio! The 2015 MAME Awards honors the top achievers in the building community and Classic Homeworks was a finalist in the logo/branding category. 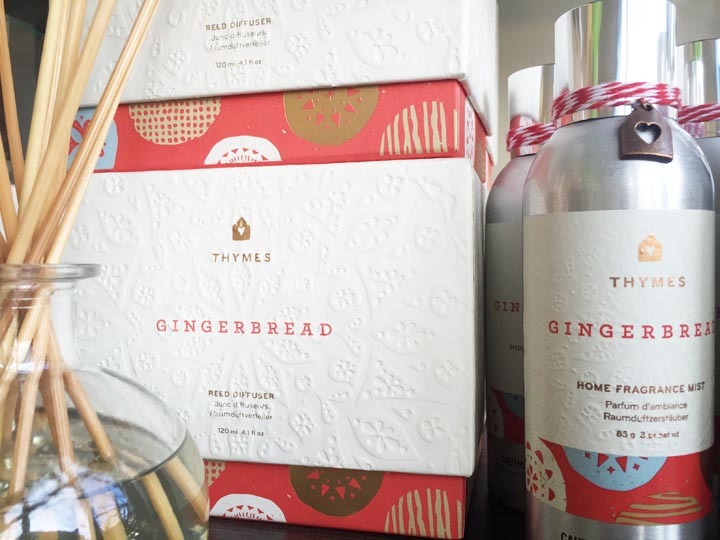 Wild Flowers Celebrates 20 Years with 20% Off! Our neighbor, Wild Flowers, at 12th and Madison in Congress Park is celebrating 20 years in business with a 20% off everything sale through October 3rd. 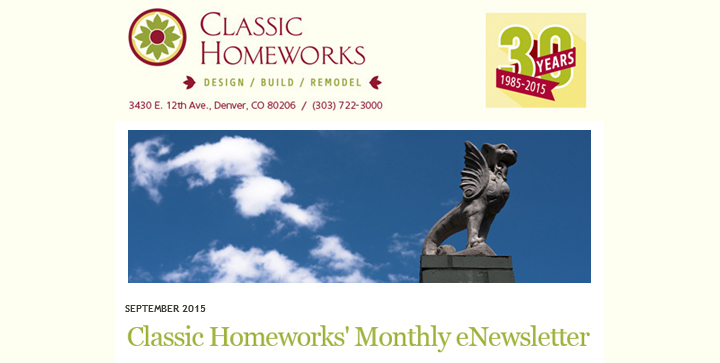 Check out our monthly eNewsletter for an award-winning historic project, fall maintenance tips, a delicious recipe and more!